Founded in 1989, the Triangle Rails to Trails Conservancy (TRTC) is a state chartered non-profit, organization. Its purpose is to work with local and state government officials to preserve local abandoned railroad corridors for future transportation and other interim uses such as recreational trails. The early members of TRTC worked closely with NC Rail-Trails to advocate and find funding for the 1992 ATT Master Plan which became the blueprint for the 22 mile trail we enjoy today. 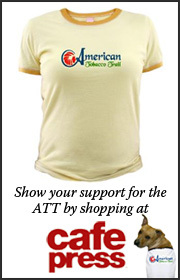 Support for the ATT has been and continues to be TRTC's most ambitious project. TRTC has developed user maps for the ATT and is continuing to organize volunteers to do trail sweeps and trash clean-ups and help us in advocating for changes aimed at improving user safety at trail crossings. Since 2013 TRTC is participating as a stakeholder in long-term efforts by Durham to prepare a Master Plan for acquiring and developing a 2.2 mile rail corridor as an urban rail-trail in downtown Durham. In the future we'll be reporting on this project known as the Duke Beltline here on our web site. We accept individual and corporate donations, and maintain a database of supporters and volunteers. Please join us in preserving these resources before they are lost forever. Help us put abandoned rail corridors back into use as recreational trails now and for use by generations to come. American Tobacco Trail Endowment: At it's September 2000, meeting, the TRTC Board voted to devote at least 20% of our dues and member donations to the newly established American Tobacco Trail Endowment Fund. The fund's goal is $10,000. (As of 10/31/2018 the Endowment stood at $9,799) This fund's proceeds will be used to pay for upkeep at the Fayetteville Road Trailhead, the parking area and fountain at Pittard Sears Road and potentially other efforts, forever. Donations to TRTC will be an excellent way to show your support for the American Tobacco Trail and to trails and greenways in the Triangle. TRTC's Board of Directors has coordination meetings on the first Monday of each month at 7:00 p.m. at the Woodcroft Professional Center on Woodcroft Parkway in Durham. For questions or suggestions concerning our web site please contact Curt Devereux (544-3948) our webmaster.